Is it really worth daring to be great? In September this year, I was attending the BIF-6 Summit, in Providence, RI. Why only report about it now ? Because they finally released the videos of the stories that were told at this year’s edition of BIF. Next year’s edition BIF-7 dates will be 21-22 Sep 2011, unfortunately the same week as Sibos 2011 in Toronto. Wonder if we can not do something together with BIF that week at Sibos, if only sharing some of the 2011 speakers? I will give a call to Saul Kaplan. Look at the confirmed dream-list of already confirmed speakers: Danah Boyd, Lisa Gansky, John Hagel, Dan Pink, etc. Wow ! What a start, and still almost a year to go! Absolute topper, world-class, inspiring, moving, energizing, whatever talk came from Keith Yamashita. SY Partners chairman Keith Yamashita dares us all in this moving video story crafted as a metaphor from the Charles and Ray Eames video “Powers of Ten.” It’s a remarkable tale that reminds us that the future is here for us to create and it starts one collaborative duo at a time. It’s worth every of it’s 25 minutes, and it’s a fantastic story about how “twins” in teams are the fuel of great teams. When Keith Yamashita looks at the world, he sees complexity—a beautiful and rich one, if we can visualize our place within it. As chairman of SYPartners , a consultancy that has worked with leaders at IBM, Apple, Facebook, Target, Blackstone, Target Financial Services, Bloomberg, Starbucks and The Coca-Cola Company, Yamashita is a master at helping people define themselves against the backdrop of a profoundly shifting business landscape. The task requires tremendous empathy, he says, a singular understanding of what clients need and want. “The biggest fallacy of business is that it’s only rational,” he says. “All business is personal and all business is human.” Yamashita is intensely curious about what makes people tick. Who are they? What are their deep aspirations? What do they need to be successful? What’s holding them back? Still, it is not enough to simply identify a dream, Yamashita tells his clients. The only way to stand out is to be fully aware of how you fit into a wider spectrum, to figure out what unique part you play, given the circumstances around you. With competent, self-aware individuals who relate to others on the basis of that trust, an organization has the potential to expand by the power of ten, just as in the Eames film. Zooming out, Yamashita sees a universe where companies design their own destinies by connecting purposefully to a wider array of players in order to work on a tougher set of problems. Jigar Shah, talking about scale in our Global Warming initiatives, and why everybody buying a Prius is really a drop in the ocean. Gerard van Grinsven, (no video available yet), a former Ritz-Carlton executive, who became CEO of a hospital where it is all about health-care and not sick-care. All these speakers indeed confirm, inspire and motivate it is really worth daring to be great. That it is worth everyday to re-question yourself, and there to re-invent yourself to keep the greatness-bar high, very high. A program is not good enough anymore. What we need is an agenda. “For a better world” for example. It is so easy to copy-cat last year’s success formula. But it does not satisfy myself. I believe you – readers, followers, innotribers – you expect more. You want us to surprise you, year after year. 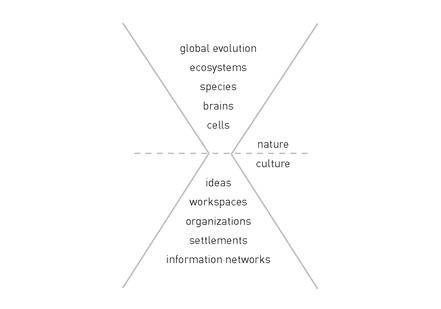 I hope these principles will also guide us when articulating our Innotribe 2011 initiatives. How to make babies ? UPDATE: the Prezi version of the SOFA presentation mentioned at the end of this post is now available here. Sibos 2010 is over! It was one of the best ever. After that week I felt completely exhausted. Empty. Because I gave my full self. Went deep. Gave and received loads of energy. This week, it’s time for reflection. For chilling-out. Took some days off: late breakfast, some power naps. A walk here and there. Still lots of reading. Lots of tinkering. Some up-moments, some down-moments. Flowing. And the future starts to emerge again. Soon we have to go back to the salt-mine. Soon the treadmill starts all over again. But it does not have to be a copy-cat. Soon we have SOFE (SWIFT’s Operations Forum Europe), running from 13-15 December 2010 in Conference Center “Dolce” in our home town La Hulpe (close to Brussels). I have been asked to organize the Innovation Plenary on 14 December. So, here we go again! Sean Park from the Anthemis Group will be there as well. He was one of our VC-coaches and Innotribe Leaders for Cloud at Sibos. He will do a keynote during the plenary (a great Prezi presentation on “Platforms, Markets, and Bytes”) and a viewing of his trailer video on “Financial Reformation”. And he will help us run an Innotribe Lab on Cloud computing. Yammy ! It will be one of those presentations that have been breeding in my head from some while, and suddenly materialize. Like a painting on a canvas. Like poetry on a sheet of paper. Like joy and harmony in music. Suddenly, it’s there! “How to make babies” will bring together numerous thoughts collected during many conferences visited this year and ideas distilled from the books I have been reading recently. If you are interested in the books I am reading, I am inviting you to subscribe to my GoodReads. In essence my story will start with the collision of two ideas. The first idea was seeded in my brain by Geoffrey West (Distinguished Professor at the The Santa Fe Institute) in a presentation titled “The Secrets of Scale” delivered during the Techonomy conference in June of this year. Geoffrey West is a theoretical physicist whose primary interests include elementary particles and their cosmological implications; the theory of companies, cities and global sustainability; and biology, including metabolism, aging and sleep. He served as the Santa Fe Institute’s (SFI) President from 2005 to 2009. It also happens to be the story that opens chapter one of one of the latest books that made a great impression on me: “Where Good Ideas Come From” by Steven Johnston. At Sibos, we reflected on the Long Now. In the first chapter of “where ideas come from”, Steven Johnson talks about that vantage point the long zoom. the quarter-power law governing innovation was positive, not negative. A city that was ten times larger than its neighbor wasn’t ten times more innovative; it was seventeen times more innovative. A metropolis fifty times bigger than a town was 130 times more innovative. The essence of Geoffrey West’s story is that cities are intensities. That cities never die. That cities are the ideal womb for idea generation, incubation and execution. That innovation scales differently than the size of the city. flow freely and in high intensity. But how does one create a culture of intensity, of innovation? How does one create the vibrancies of cities within the walls of a castle? Here is some additional video material featuring Steven Johnson’s ‘”Where do ideas come from”. It brings me to the second idea in the collision: the one of incubators. Incubators at the Maternity Hospital, Port Royal, Paris (Maternité de Paris, Port-Royal). An engraving by Eugene Froment (1844-1900) from the Illustrated London News, 1884. 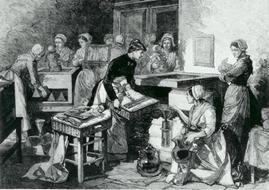 Incubators were invented by Stéphane Tarnier in 1880, and documented by Auvard in the historic 1883 article De La Couveuse Pour Enfants. Incubators help us grow babies. Physical babies. What I am talking about are ideas. Baby ideas that need to be prototyped. And then incubated. Many incubator models for ideas and start-ups exist. 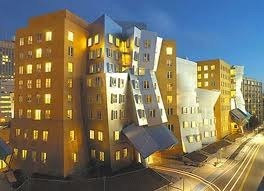 Probably one of the more famous ones is MIT Building 20. Building 20 was designed differently. With flexibility in mind. A bit like the Value Web walls that allow you to create spaces of intensities. And when the job is done, you disperse and build new spaces, new teams. Disperse and re-group. A different composition for each new project. Get rid of the one size fits all. 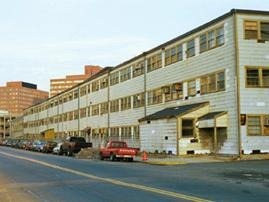 Old Building 20, Vassar Street facade, 1997. The point I am trying to make here is that physical environment is equally important to have a free flow ideas. Ideas will not flow in a castle with long corridors and closed offices. Intensities and intentions. City intensities. Platforms of intensities. Physical or virtual. Almost requires an architectural purism and surroundings to make it work. Has to be physical. I want to create these environments. Where small groups of intense people can meet. Can radiate. Can nurture and inspire each other. Where one hunch leads to another, and ideas cross-fertilize. Where we play the Medici-Effect for 100%. We need to build some sort of city, some platform of intensities, some sort of campus. Not a “chalet” next to the castle. Embedded in the social and economic fabric of our industry. Where experts can meet and weave the next generation solutions. Where we not only have a fertile environment for funding “only”, but where we also thought about physical housing, novel resourcing models like dedicated teams combined with shared staff from the castle. Or in-residence programs as another way to resource and bring fresh blood. Where we have a shared infrastructure for support, project management and IT. And where we nurture a culture of experimentation. Where we have reverse-mentorship of our bankers BY the Gen-Y generation. There is a class of young, intelligent, creative people who are disillusioned with the debt-based monetary system, and are busy building the infrastructures for a commons-based economy, which is emerging, right now, in parallel to what currently exists. The foundation of this economy is built on trust… and transparency…. and the ability of distributed networks to self organize. And using the Web as a grounds for experimentation, we’re learning more effective ways to link unmet needs with unused resources, innovate, generate wealth, and build resilient communities. This is the prototype of the future. This is where the opportunities are. Venessa & friends already followed up post-Sibos with the idea of an in-residence program for bankers. To understand and connect with the new class of young, intelligent, creative people. To learn their language and adapt their values. Yes, you got it right: the bankers get mentored by Gen-Y. I think it’s a fantastic idea. To think wealth instead of money. Where we create bridges in a strengths-based society instead of a problem mindset. The realization that most senior executives in finance (or elsewhere for that matter) would be completely at a loss – “sans moyens” – faced with an articulate and intelligent Gen-Y as personified by Venessa. Things like this residence program idea: that’s the sort of babies we need to create. That’s the sort of family harbor we want for our children. And when babies become adolescents and adults, when those ideas have matured into successful companies in their own strength, keep thinking about our off-spring. As it never stops. The big “contours” of my SOFE presentation are drawn. This post-Sibos holiday & chilling season is ideal to let it mature. To perfect the visuals. To come to the essence. To get to its full purity. To be different by less not more. So that you can feel the full intensity. So that each of you can realize his full potential. Let’s practice making babies !